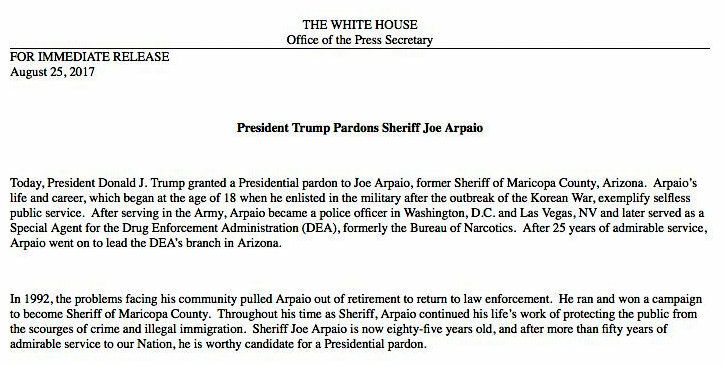 FRIDAY DOCUMENT DUMP: Trump Pardons Joe Arpaio - Joe.My.God. Controversial former Arizona sheriff Joe Arpaio was pardoned by President Donald Trump on Friday after being found guilty in July on criminal contempt charges stemming from his refusal to stop imprisoning suspected illegal immigrants. Arpaio, an outspoken critic of undocumented migrants as well as an ardent supporter of Trump, appeared on the presidential campaign trail with the Republican candidate in 2016. 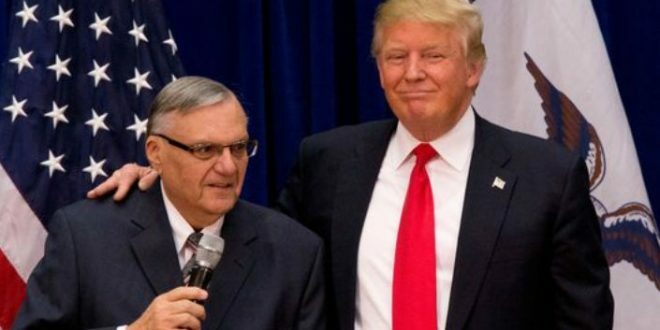 He was said to be under consideration for a pardon last week by Trump, and was all but promised clemency by the president during a rally in Phoenix on Tuesday.